French Kiwi Juice, who is more popularly known with the acronym FKJ, is a French musician, multi-instrumentalist, and DJ/producer who makes songs with soft sample-based electronic sounds. His songs easily resonate with fans because they speak directly to the soul of everyone who listens to them. FKJ has been around for quite some time and has been making waves on YouTube where his music videos are in abundance. If you’re unfamiliar with his music and talent, then no need to worry as we introduce the gifted musician to you here. 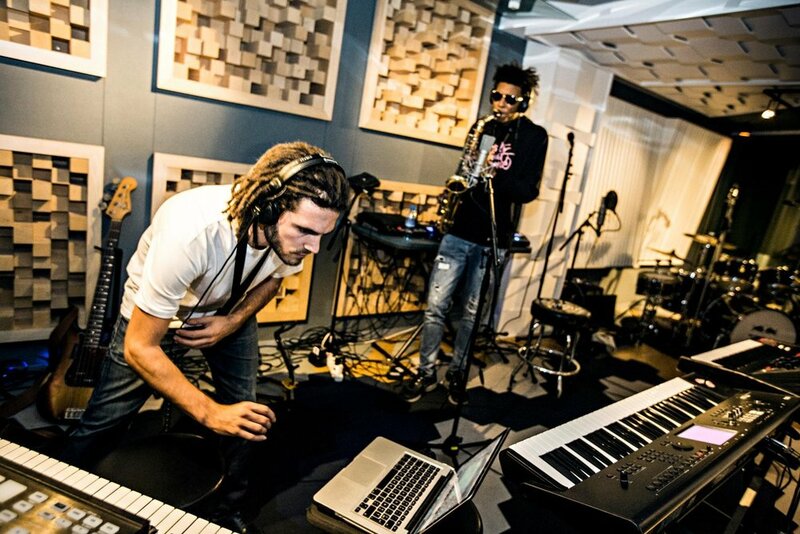 FKJ has collaborated with various artists both established and upcoming ones. In every one of his productions, his sheer brilliance in making his kind of music, New French House musical genre, cannot be denied. It is certainly rare to find someone uniquely talented as he is. In the paragraphs below, we are going to tell you every single thing that we know, and there is to know about French Kiwi Juice. French Kiwi Juice, or FKJ, is certainly not a conventional name any parent/s will name their kid and definitely, it wasn’t what FKJ’s parents named their boy when he was born. His real name is Vincent Fenton and he was born on the 26th of March in the year 1991. Vincent is a native of Tours, a city in the center-west of France but he now lives in Paris. Like every great musician we have today, there is always a point of beginning when they decide to devote the rest of their lives to music. For FKJ, his was marked when he stumbled across his parent’s record collection as a teen and thereafter picked up his first guitar. From that point onward, he knew that the rest of his life will revolve around music, not just any genre of music but the likes of nu jazz, electronic, rhythm, blues, and French house. When he was working as a theater sound engineer, he was able to teach himself the rudiments of the production of his kind of music. As he learned more and got ready to get the ball rolling, FKJ began working with other artists on the Roche Musique label to develop an electronic subgenre of new French house music at the beginning of 2010. Towards the end of 2012, the result of all what they have been doing for the past 2 years began to show. The musician released his first EP titled The Twins and it was followed by the single Lying Together in that same year. His second EP Time For A Change dropped in 2013. This work received critical acclaim earning praises from music critic blogs and online platforms like Trax Mag, Indie Shuffle, Ofive, Earmilk, and The Sound You Need. His massive online presence served and still serves as the foundation upon which the successes of his musical productions have been hinged upon. FKJ released another EP titled Take Off in 2014 and in the 2 years that followed, he devoted his time to working on his first full-length album. The eponymous album French Kiwi Juice was released in the US on March 3, 2017, under the Roche Musique (music) label. The following year, FKJ released another single titled Is Magic Gone which was followed by Leave My Home in 2019. Some his collaborations with other artists are in songs and live performances like Learn to Fly (which featured Jordan Rakie in 2017), Lucky Satr (FKJ & Pomo live performance in 2018), Tadow (with Masego in 2018), and Vibin’ Out (with (((O))) whose real name is Nikita Vasilyev in 2018) which is one of his most viewed songs on YouTube. The name French Kiwi Juice (FKJ) is a pointer to his French and New Zealand roots. The word Kiwi is a nickname mostly associated with New Zealanders. The French DJ and musician is competent in the use of saxophone, piano, guitar, drum machine and synthesizer. He also uses his computer to mix various electronic sounds to produce his signature scintillating songs. You can find and follow FKJ on various social media platforms like Facebook, Twitter, and Instagram. Across these platforms, the French musician has amassed a throng of millions of followers. You can also find him on online audio streaming and distribution platforms like Spotify and SoundCloud with his professional name FKJ. French Kiwi Juice has held the stage and thrilled fans at music festivals like Euphoria, Lightning in a Bottle, CRSSD and of course the Indo California annual music and arts festival Coachella which holds at the Empire Polo Club, Inland Empire’s Coachella Valley in the Colorado Desert.